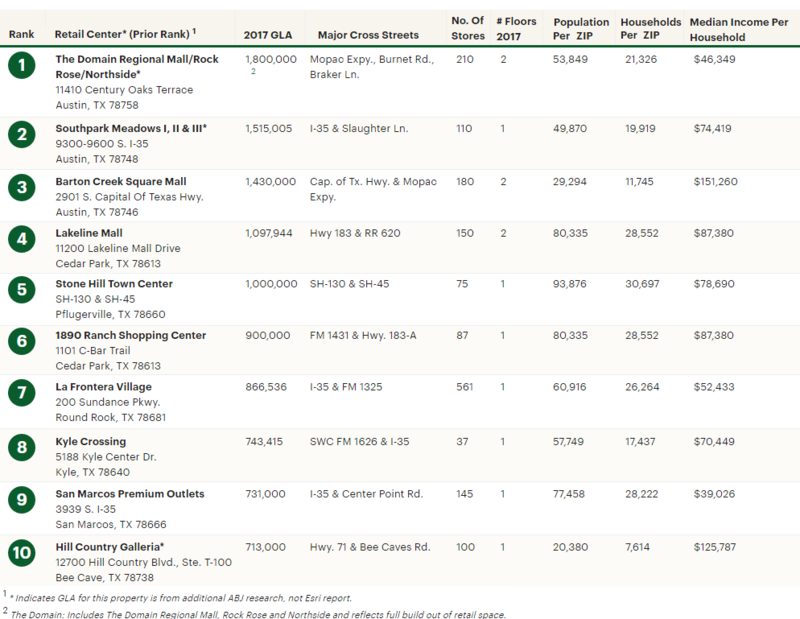 ​​HAYS, TRAVIS COUNTY – The Austin Business Journal has released the ​list of the area's largest retail centers. For the full list of 26 retail centers click here​ (requires subscription). Below is a glimpse of the top ten.